Ninja Samurai Shadow Fight | Mac App Storeのアプリ検索・ランキング BuzzMac! Are you brave enough to face evil, creepy, and dark enemies? 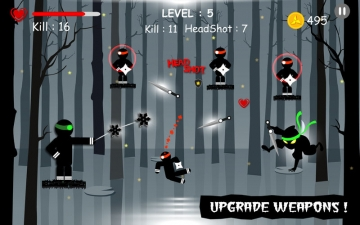 Get ready to be the greatest samurai ninja hero that free mankind from devils in this intense Shadow fight! In Ninja Samurai: Shadow Fight, you’ll be the chosen one who is master at using swords, stars, spiked balls, kunai, sai, and knife. Disguise yourself as a ninja warrior who is on a journey of conquering the world. When the battle begins, the warrior has to fight off the dangerous enemies that are constantly attacking him. Beat them all by using the great controls and try not to be hard hit by the enemies and their weapons at the same time. Warning! This is an insanely hard battle all the time, so do you have the drive, courage, and passion to rule this Dark world? 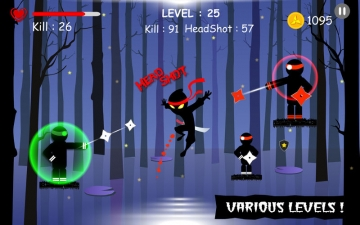 You will be stunned with amazing graphics & sound effects of Ninja Samurai. 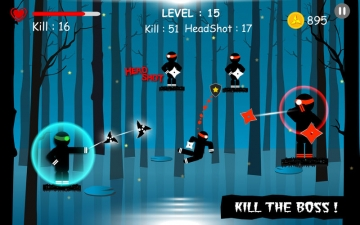 Be a samurai hero, do some crazy powerful moves and kill enemies of the dark world. Enjoy utilizing the multiple accessories in the best offline RPG game. Some enemies are extremely dangerous & you will need more powerful weapons than the starting ones. Combine those ones to be better and stronger to fight against those brutal enemies! There are different weapons and armors in Ninja Samurai: Shadow Fight and the levels, attack, defense & hp are really important in how good you will be to cope with the enemies. Remember to purchase weapons and armors by using golds, in order to increase ninja’s power many times & wipe out the enemies at a glance in each shadow war! Ninja Samurai: Shadow Fight is one of the best choices in series of offline ninja games, RPG fighting games and trending attack games. Download 'Ninja Samurai: Shadow Fight' and share your relaxing moment with friends now! Ninja Samurai: Shadow Fight also allows you to purchase virtual items with real money inside the game.